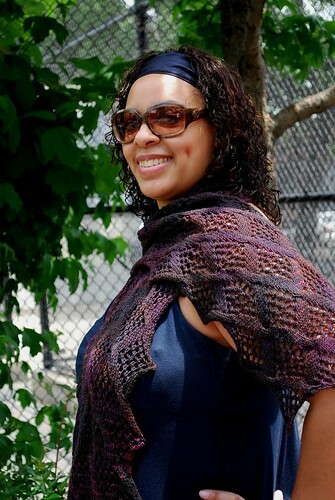 Shawls and Scarves | Rosi G.
The minute I saw this Through the Woods pattern I knew it would be perfect as a gift for my friend Lauren. She is having had a baby this month and will probably be out strolling around Central Park with him this fall and winter. (She had the baby while this post was still in draft form! YAAAY! Congrats, L & R!) She hates wearing hats since she thinks they don’t look right on her so she usually freezes instead. 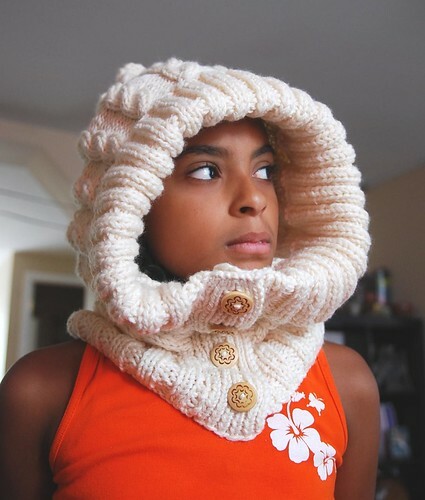 This hood and cowl combo seems like a perfect solution to me. 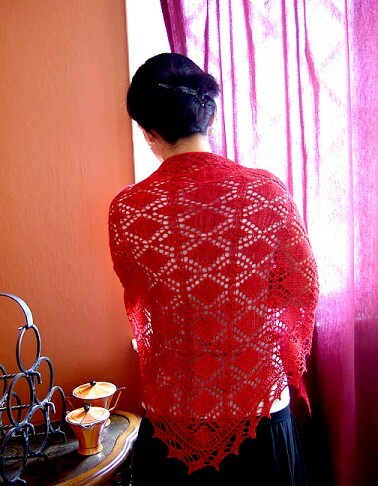 The pattern is a very simple knit (I can hear you all groan out there saying that I ALWAYS say that!). But I SWEAR that it is!! 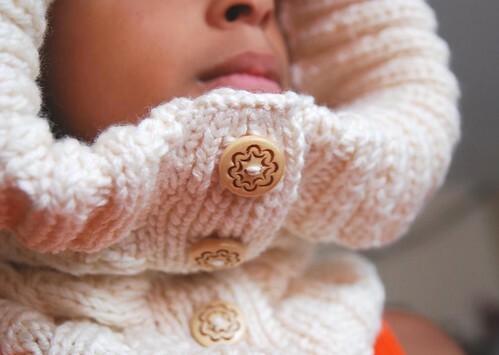 The main cable part is knit back and forth in rows; you seam the hood; pick up sts around hood and knit that ribbing; pick up sts along bottom edge and knit that part; then pick up and knit for button bands. See?? EASY PEASY! In my humble opinion, the hood is a bit small. Esmie is 12 and you can see that it fits her almost just right. Lauren is petite so it will fit her, too. I did get gauge. 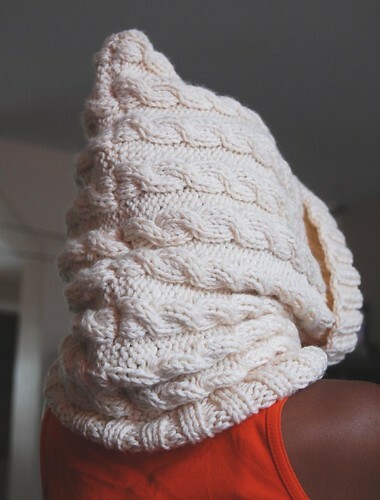 So if I were to knit this for myself, I would probably have to knit the hood larger, probably just by making the main piece longer by a few inches and adding a repeat or two to the cable pattern. After taking these pictures of Esmie modeling for me, I think she needs one for herself this winter, too. I’m probably biased but my girl is rocking that hood with her orange tank top! Cost: yarn was a gift; 5 buttons @ 75c each. 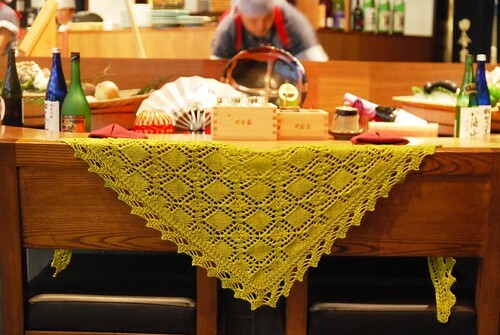 Mods: used double stranded yarn. I wanted to use up some of my sock yarn for things other than socks. 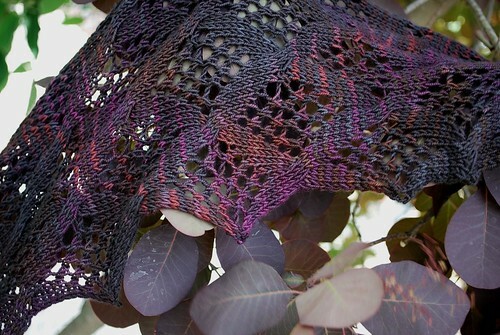 Valkyrie is a one-skein scarf with an easy-to-follow cables and lace pattern. 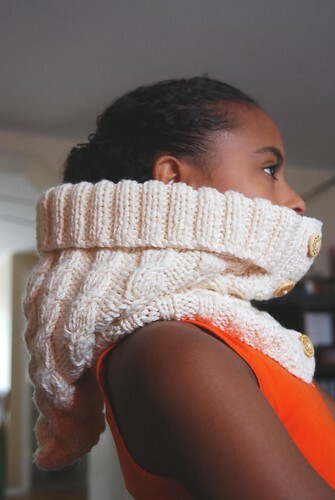 It can be made wider to make it more of a stole. 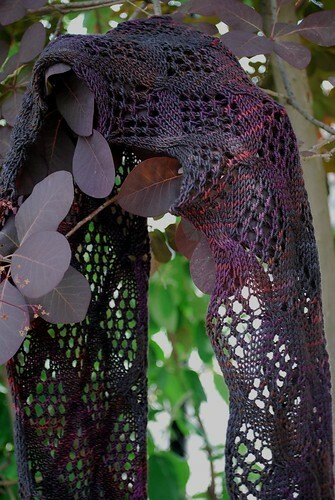 I can see this in some gorgeous hand-dyed silk laceweight with one or two extra pattern repeats. 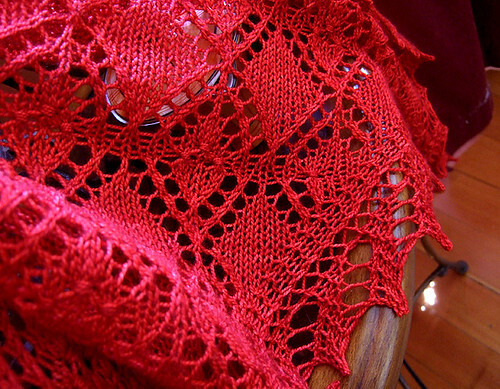 The combination of cables and lace with purled wrong-side rows makes for a nice pattern that goes smoothly and is easy and quick to knit. Finished Size: 64” long x 9.5” wide after blocking and with fabric relaxed. 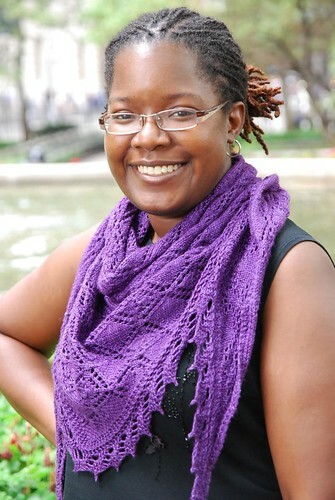 Yarn: Blue Moon Fiber Arts Socks that Rock – Mediumweight, 1 skein, 380 yds.